Knots and Kisses Wedding Stationery: Wedding Planning By The Hour! Wedding Planning By The Hour! 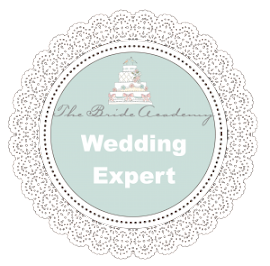 I'm delighted today to introduce a new service to all of you who are planning a wedding yourselves but might need a few hours of help from a professional . 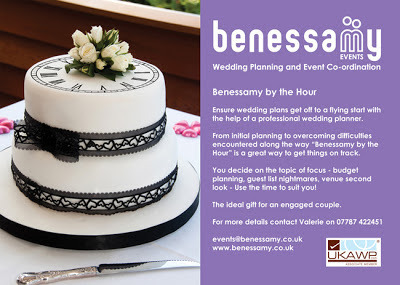 The lovely Val from Benessamy Events http://www.benessamy.co.uk/ contacted me about the new service she will be offering as part of her Wedding Planning and Co-ordination services and it's a fantastic gift idea for a Christmas present for those planning a wedding! 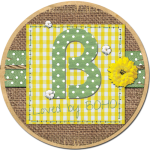 "Looking for a special Christmas gift for a newly engaged couple? Then how about a gift voucher for an hour or two with a professional wedding planner. Benessamy Events have this week launched Benessamy by The Hour - a new wedding planning service. This new service is great for couples who want to plan everything themselves but would like a helping hand from a professional wedding planner to ensure their wedding plans get off to a flying start. It's also perfect if wedding plans have stalled or have hit a tricky stage. Benessamy by The Hour can be used to get things back on track. You can book 1 hour or blocks of 2, 3 or 4 hours. 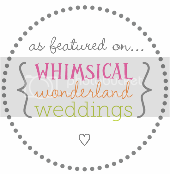 Planning a wedding can be very exciting but also quite daunting for couples. This new service is a great way to get a helping hand - Couples can use the time to focus on a topic of choice - budget planning, design ideas, guest list nightmares, venue second look - whatever suits! What a great gift for an engaged couple and just in time for Christmas too! So why not treat someone, treat yourself or add it to your Santa List!